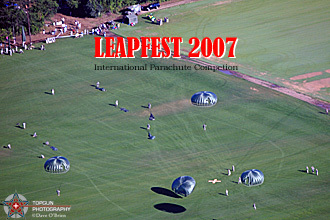 The Rhode Island leapfest is an Internation military parachute competition held in North Kingstown RI. It is the oldest and largest competion in the world, this year inviting 56 International and US teams. The international teams were from the United Kingdown, Thailand, Greece, Macedonia, Germany, Bulgaria, Uraguay, Peru, Bolivia, Ecudador and El Salvador. The rest of the teams were made of up US Military teams from the Army, Air Force, Guard and Reserve units and a pair of teams from the US Military's Main parachute testing facility, Natick Labs. The weather was beautiful on this saturday with clear blue skies, cool temperatures and light winds. The morning started out behind Rhode Island University with each jump team displaying their country's flag. After our national anthem and a morning prayer, a team member from each country marched their flag front and center for display. Each team is made up of a 4 person team, jumping 3 times each. The platform was a CH-47 Chinook flown at 1500 AGL. The Helo's would make passes over a large field marked with an orange X. Judges would time each jumper as they hit the ground and then would have to carry all of their gear to the center of the X. The total time for all 4 members, over the 3 jumps is totaled up. The team with the lowest combined score is the winner. The teams were held in a staging area where they would help each other into their parachutes. Teams would then form up into lines and take the next Chinook to the drop zone. At times all 4 Chinooks from the CT and PA Army National Guards were up in the drop pattern. A jump master aboard each Chinook would give the commands for all teams aboard his helicopter. A UH-60 Blackhawk would circle around for media and officals so they could get a view from high above. 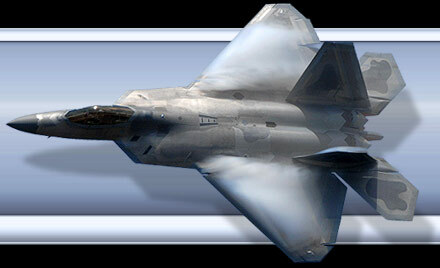 Det 2 of the 66th training Squadron from NAS Pensacola with a time of 73 second took top honors, while Tech Sgt Jason Meinders, from Det 1, 548 Combat Training Squadron , Fort Polk, LA USAF took the individual time of 7 seconds! The Pennsylvania Army National Guards 104th Infantry Detachment took 5th, 6th, 7th and 10th, while the hosting unit of the Rhode Island Army National Guard took 9th place securing 5 of the top 10 teams were from the National Guard. The top International team finishing in 2nd place with a time of 83 seconds was from the 68th Special Forces Brigade, Bulgarian Army. And the top Individual was Maj Younko Youchev from this same unit who took 3rd place. Many thanks to the men and women of the RI ANG, and especially PAO Col Riel for the invitation to attend.